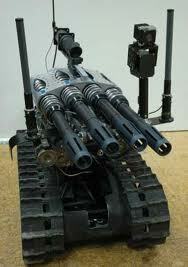 First up is the proposed Advanced Infantry Combat Weapon by Australia’s Metal Storm Ltd. Combining a 5.56mm assault rifle with MS patented stacked ammo caseless ammo grenade launcher, this weapon is truly futuristic! In fact, the concept is already catching on. Holy future Batman! Here we have the CornerShot, the weapon accessory invented by Lt. Col. Amos Golan of the Israeli Defense Forces. Though technically not a firearm per se, this impressive invention gives anyone the ability to look and shoot around corners. Designed primarily for use by special forces and police units, mainly for terrorist and hostage situations, it is typically outfitted with pistols or other small handheld weapons. Already it has made numerous appearances, including the movies Wanted, Red, and Newsmakers (Goryachie Novosti), the tv shows CSI: Miami, Flashpoint and Standoff. The name stands for Fusil d’Assaut de la Manufacture d’Armes de Saint-Etienne, and it is the service rifle of the French military. 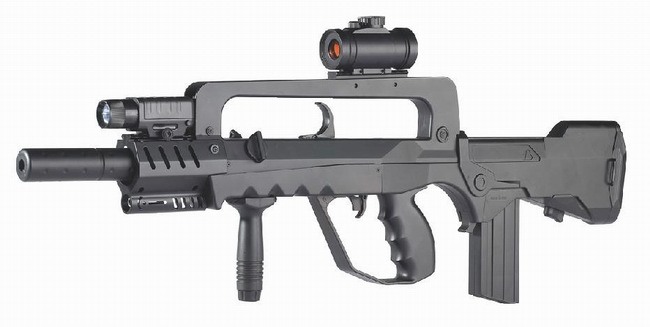 Invented in 1978, it was one of the first rifles to utilize the bullpup design, joining such guns as the Steyr AUG. Its long term of service has also led to its wide representation in modern media. These include the movies Rebellion, District B13, Behind Enemy Lines, Hotel Rwanda, Tomorrow Never Dies, the Taxi series and the tv show The Unit. In terms of videogames, there are too many to count, but the big names consist of Rainbow Six, Battlefield 2, Perfect Dark, Modern Warfare 2, War Inc. Battlezone, and Counterstrike. The name literally translates as “fire serpent” in classic Nahuatl, a pretty fitting description for a modern assault rifle. Produced by CIADTIM (Center of Applied Research and Technology Development Military Industry), this weapon is currently in use with the Mexican army. Making its debut in 2006, this weapon incorporates a lot of modern design features and is similar in appearance to the HK G36 and XM8. My apologies, I can find only two examples of this weapon being featured in the movie, television or gaming world, and that is Call of Juarez: The Cartel and Max Payne 3. No doubt about it, the People’s Republic of China has been producing some pretty funky weapons lately. Should we be worried over here across the sea? 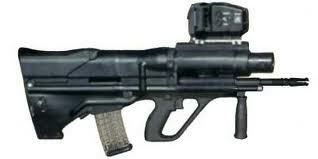 Well regardless, this next weapon is known as the QLB-06, an automatic 35mm grenade launcher. 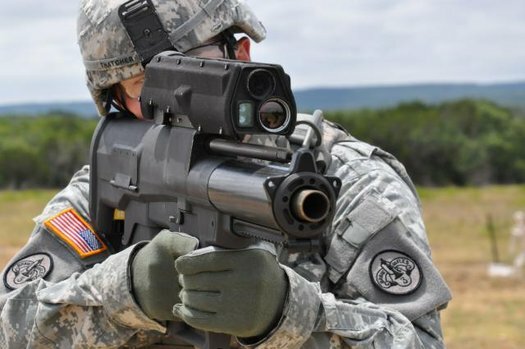 Serving extensively in the Chinese military and abroad, this weapon represents the next step in the direction of a portable, lightweight, infantry grenade launcher. Relatively new to the international armaments scene, this weapons has been featured in a few video games, such as Operation Flashpoint 2, and Jagged Alliance: Back in Action. This is like, shock and awe got together and made a psychotic baby! Known as Metal Storm, this prototype series of weaponry uses stacked ammunition and with electrochemical ignition. Taken together, these advancements allow for an unprecedented rate of fire. In this case, we have the four barrel 40 mm cannon, which is the most powerful and fastest repeating cannon in the existence right now! Frontlines: Fuel of War, Command & Conquer Fallout, Shadowrun, and Splinter Cell Chaos Theory and was also featured on the television show Future Weapons. A fictional, forty barrel variant was also featured on the show CSI: Miami. Here we have yet another example of a .50 cal sniper rifle, one which is a lot bigger than it looks! Built in the US, this weapon represents a new generation is firearms technology for special forces and elite sniper units. I have to find an example of this one showing up on the public’s radar. My apologies, sometimes they just don’t show up in time for these posts. 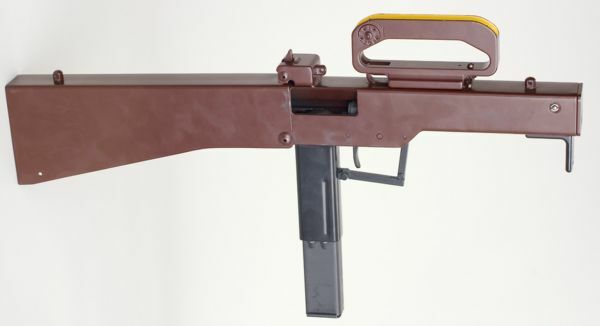 Ever seen a submachine gun that could fold up into a suitcase? I have… once… in a movie! And it was set in a futuristic setting, making this weapon a perfect fit. Based on an earlier model known as the Ares FMG (Folding Machine Gun), this weapon was developed in the 1980’s, apparently for the personal use of politicians, wealthy businessmen, and other people who were at a high risk for kidnapping. As I said, this gun made an appearance in a futuristic movie, known as Robocop 2. It was also featured in the anime series Full Metal Panic and the video game Perfect Dark. 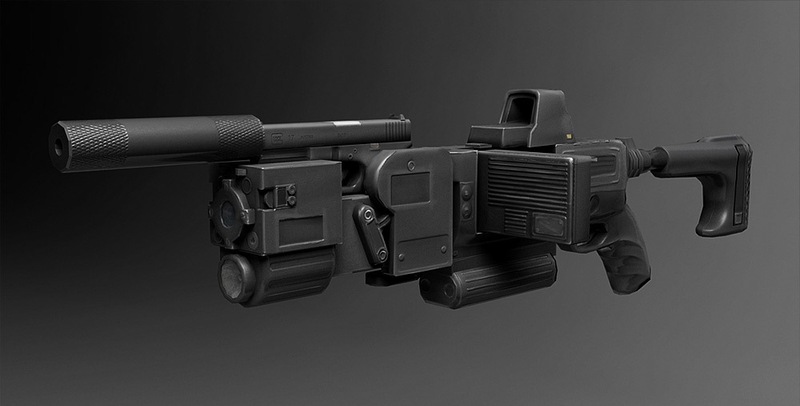 Grenade launchers seem to be somewhat of a theme for this particular post, and this one is nothing if not futuristic! Known as the IAWS, or Individual Airburst Weapon System, this weapon was produced by the same project that created the HK XM29 OICW. A semi-automatic launcher, it is capable of firing four 25mm grenades from a bullpup box magazine that is loaded at the rear. Thus far, the XM25 has appeared in four major first-person shooters, including Ghost Recon: Advanced Warfighter, Metal Gear Solid 4, Battlefield Play4Free, and Modern Warfare 3. Wow, were it not for Metal Storm, I’d have saved the deadliest for last. Still, the XM307 was part of the US Army’s cancelled Advanced Crew Service Weapon (ACSW) project, intended to supplement or replace existing stocks of M2 heavy machine guns and Mark 19 grenade launchers. 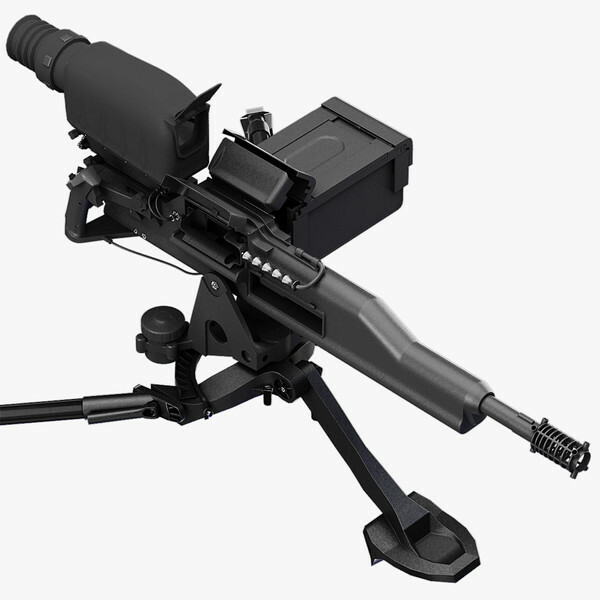 Combining the best aspects of a machine gun with a grenade launcher, this weapon is capable of firing 25mm rounds (the same as the XM25) at a rate of 250 rounds a minute. Thus far, the XM307 has appeared in only two videogames, Battlefield: Bad Company and Battlefield: Bad Company 2. Wow! You’d think an automatic grenade launcher would have made more of an impact. Sorry, bad pun! Jagged Alliance: Back in Action. The Future is Here: Predator Drones and UAV’s! Got to wonder: do these films use real guns, fake guns, or a combination of the two? sounds like something that would work for filmmakers.